After a war of words and a 31 per cent decline in its stock price this past year, the battle over the future of DavidsTea (DTEA.O) will come to a head next week. 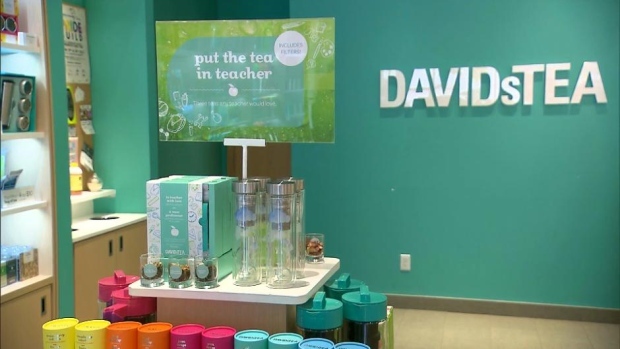 Shareholders will decide on the Canadian tea retailer’s path forward at its annual meeting on June 14, where DavidsTea co-founder Herschel Segal is seeking to replace the existing board with a dissident slate of nominees to “fix and rebuild” the company. Below is a guide to the proxy battle, who the major players are and what’s at stake for the embattled beverage retailer. 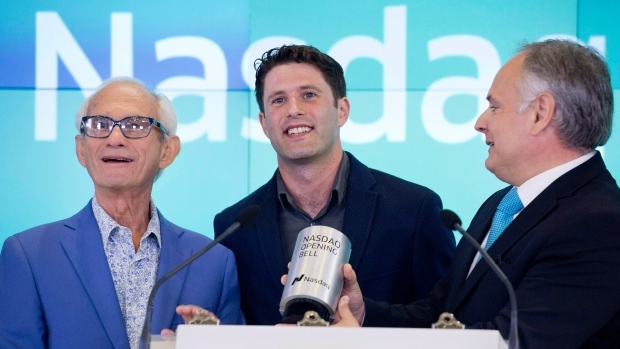 DavidsTea’s stock has nosedived since listing on the Nasdaq in June 2015 at US$19 per share. As of noon ET Friday, DavidsTea traded at US$3.75 a share. The retailer posted a loss of $16.1 million for the fourth quarter ending Feb. 3, compared with net income of $2 million for the same period last year. Segal, the Montreal retail veteran who also launched Canadian fashion chain Le Chateau Inc., co-founded DavidsTea with his cousin David (the brand’s namesake) in 2008. Segal, who was a member of DavidsTea’s board until he resigned March 5, controls about 46 per cent of the company through Rainy Day Investments Ltd (RDI). Segal is pushing DavidsTea shareholders to vote in favour of his slate of seven board nominees and says the current board is wasting time, resources and shareholder money exploring the sale of all or part of the company. Segal also said he wants the retailer to refocus on Canadian growth instead of its U.S. expansion. In a June 8 statement, Segal slammed DavidsTea's board, calling it “divided and unable to provide clear direction” while criticizing management for disappointing financial results. “Fellow shareholders, your choice is clear — we are going to fix and rebuild this great company; the current board and management want to sell it at a discount,” Segal said in a release. DavidsTea’s board of directors have fired back at Segal, calling him “the architect” of many of the retailer’s current challenges. The company’s three next largest shareholders – TDM Asset Management, EdgePoint Investment Group and Porchlight Equity – oppose RDI’s turnaround proposal. DavidsTea CEO Joel Silver – who has been credited for helping to drive Indigo Books and Music’s growth in general merchandise – said in a June 1 interview with BNN Bloomberg’s Catherine Murray that the company’s existing board and management are “creating a 21st century retailer” by focusing on growth in wholesale and ecommerce channels. Silver said he disagrees with Segal’s plans to open more bricks-and-mortar stores across Canada, adding that renovating existing outlets would be a better investment for shareholders. As of Feb. 3, Montreal-based DavidsTea had 240 stores throughout Canada and the U.S. While the tea market looks ripe for further growth in Canada, the U.S. is far less certain. According to estimates by market research provider Euromonitor International, Canadian tea sales are forecast to reach US$650 million in 2018, up 9.9 per cent from US$591.4 million last year. By comparison, growth in the U.S. tea market has declined in recent years, with sales falling 0.6 per cent in 2017 compared with the previous year. In another sign of deflating growth, Starbucks shuttered its Teavana stores last July. But like Canadian consumers, Americans are increasingly gravitating towards specialty teas, especially brands with a health positioning, Matthew Barry, senior beverages analyst at Euromonitor, said in an interview. One of the main differences between the U.S. and Canadian tea markets is Americans’ bigger thirst for iced tea, especially in southern U.S. states, Barry said. While DavidsTea’s overall business strategy and board leadership will be decided at the company’s annual meeting, there is even more at stake: DavidsTea announced in December 2017 that its board is considering strategic alternatives, including financing, refinancing or restructuring the company.